Our School Leadership Team manages 105 professionals at ELIS School Murcia. After studying History and then Education at Nottingham University in England, I began my career as a teacher in North London. As an inexperienced 21-year-old teacher, I chose the most challenging and hostile working environment that I could find to learn as much about classroom management and discipline techniques as quickly as I could. I stayed at this inner-city school for four years and formed close ties with students under often challenging circumstances. I have never encountered a discipline problem that I couldn’t solve since. From London I moved to work in Washington D.C. in the USA as a Fulbright exchange programme teacher where I was inspired by the maturity of the students and their determination to work hard and create great futures for themselves. 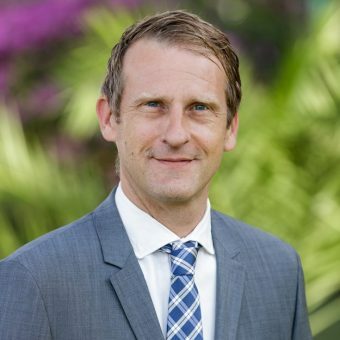 After a brief spell teaching back in London, I became a Middle Manager in an International School in Mexico City were I developed my ability to lead teams and improved my administrative efficiency. Four years later, I found myself, with a wife and young family, working in one of the UK’s top state schools in Cumbria, northern England. The school was a beacon of excellence in terms of the education offered, learning outcomes for students and staff professional development and my time there transformed my professional ambitions and inspired me to believe that I had what it took to lead a whole school. My first Directorship took my family and I back to Mexico City to take charge of a High School. I was able to shape a fantastic team there which, over the course of the following four years, transformed the school into a centre of educational excellence with a fully-deserved good name across the city. I was also awarded a distinction in a Masters Degree in Educational Leadership at the University of Buckingham during that time. In 2012 the opportunities that the new position at ELIS (El Limonar International School) Murcia offered were impossible to resist. After five years leading the school through significant curriculum, academic and organisational change, I’m completely convinced that it was the best possible move both professionally and for my family: ELIS Murcia is a fantastic school which has clearly benefitted from having a whole-school Principal for the last five years. The new professional challenge therefore is to provide overall leadership for the two ELIS schools in Murcia and Villamartin from 2017 onwards. 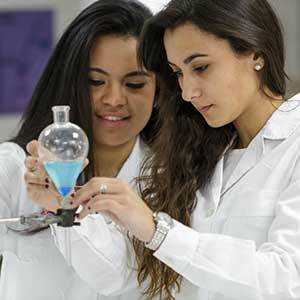 Despite being ‘sisters’, the two schools are very different in terms of needs, community and organisation. I will rely heavily upon the excellent leadership teams of both schools to run them on a daily basis and must ensure that all members of both communities are fully supported at all times. 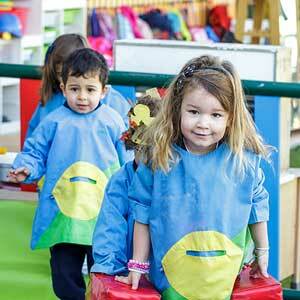 This task is made easier because ELIS, as part of the Cognita group, also has all the necessary financial, technical and educational support the two schools need to grow and improve in order to maintain their positions as the leading providers of quality education in their respective regions. After graduating from the University of Southampton with a First Class Honours degree, my journey at El Limonar International School Murcia commenced way back in 1999 as a part-time classroom assistant. My first full-time teaching posts at the school were in the English Immersion Department and, later, as a Primary class teacher and tutor. Over time, I assumed roles in the school’s middle management: firstly, as English Department Coordinator, and from 2007 as Primary School Coordinator. 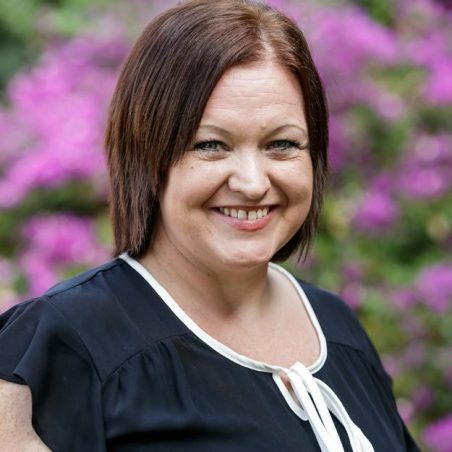 In September 2014, whilst completing a Master’s degree in Educational Leadership, I was delighted to be named Deputy Head, a role that has allowed me to further consolidate my skills as a leader and to develop my knowledge of our wonderful school at a much deeper level. September 2017 sees me move into the role of Headteacher at our school, a challenge which I honestly assume with great enthusiasm. I very much look forward to working even more closely with all members of our community and supporting the Executive Principal in leading our school into the next exciting stages of its continuous development. 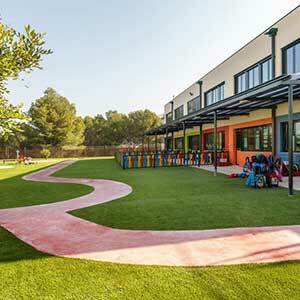 El Limonar International School Murcia is a truly special place that has grown and progressed immensely over the years but one thing remains unchanged: the unswerving dedication and care of all our employees, teaching and non-teaching staff alike, who always strive to provide an exceptional service to the children entrusted in our care. We are a true team, motivated by the desire to offer each and every one of our students the best possible start in their personal learning journey, in order that they might become the successful and confident leaders of tomorrow. 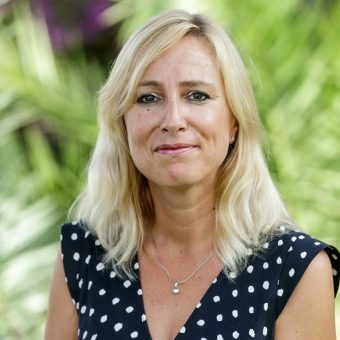 Having a degree in Business Management and Administration, I started working at El Limonar International School Murcia in 2008, coinciding with the acquisition of the school by the Cognita Group. Previously, I held roles both in Controlling and Management in a variety of different sectors including construction, the chemical industry and Human Resources. 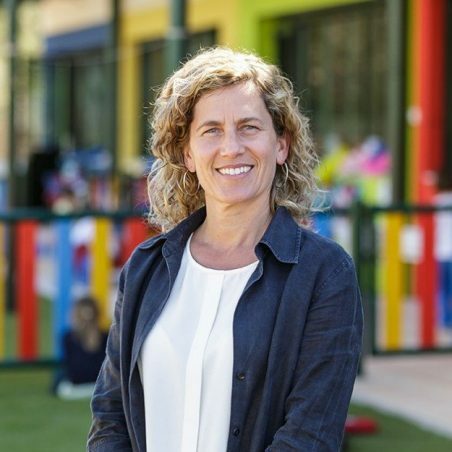 Working at El Limonar International School Murcia has provided me with the opportunity to learn about the educational sector, a sector which has such great importance in our lives, and it is indeed during these years that I have developed my career with the greatest satisfaction. Together with the rest of the Senior Leadership Team, I work hard to achieve constant improvements to the school’s offer, allowing our students to enjoy the very best facilities and the latest technology in their educational experience. Motivation, effort and a sense of responsibility are the key values that I have tried to convey to our students since El Limonar International School opened its doors 25 years ago becoming a pioneer school in English education in Murcia. These values have shaped my career and, from the very beginning, I have been able to apply them not only in theory but also in practice, when designing new educational and curricular strategies. 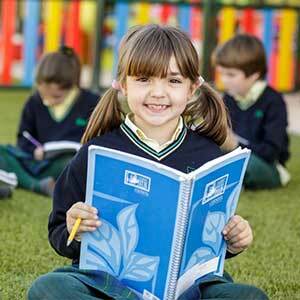 Over the years, thanks to our values, the involvement of our teachers and parent body, and also thanks to an educational system which guarantees linguistic immersion as the only way of achieving a quality bilingual education, we have helped our pupils to become the successful professionals they are today. But this is not enough. 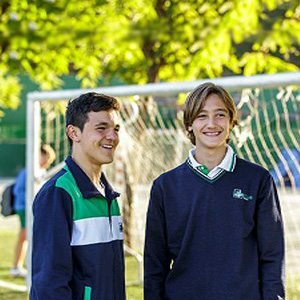 The aim of El Limonar International School Murcia is, and has been for the last 25 years, for our students to achieve academic and personal excellence while encouraging them to adopt our values as a way of becoming better and more successful individuals. 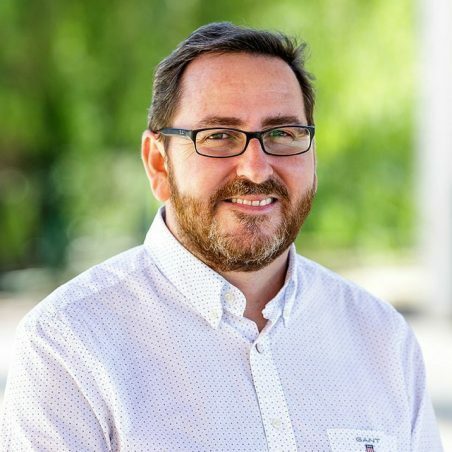 After achieving a first class honours degree from the University of Salford in 1998, I worked as a postgraduate researcher and teacher at the University for a further two years. During this time I volunteered to be a mentor on a summer scheme for local disadvantaged children in Manchester and this sparked my passion for working with young people. In 2001, after two years spent travelling and working as a research scientist in the pharmaceutical industry, I studied for my PGCE at Durham University. My career in teaching has been varied and rewarding, seeing me progress from a science teacher in a Catholic school to being appointed as Head of Science in a very challenging school, where I rapidly raised standards and outcomes for students. My recent post was Assistant Principal in a Secondary academy, with responsibilities for both pastoral provision and academic progress, where I was part of the senior leadership team of one of the most improved Secondary schools in northern England. I have a strong sense of moral purpose and work relentlessly to ensure that young people have a happy, memorable and successful education. Throughout my career I have strived to provide the opportunity for every child, regardless of background, religion and ability, to thrive and succeed in all areas of their academic, moral, cultural and social development and I am looking forward to continuing this as Head of Upper School at El Limonar International School Murcia. My family and I love the outdoor lifestyle and are very excited about living and working in such a beautiful area of Spain. I am looking forward to getting to know the students, staff and parents and becoming part of such a fantastic school community.